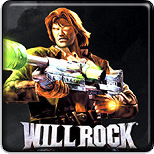 Today i want to show you step by step how to make and host a Will Rock dedicated game server. - And most importantly, a very fast internet connection. Do NOT create a Willrock server with a wireless connection. All the other players will may be suffer for the high latency you're causing to them. Trust me. If you dont have those requirements, then please find someone else who can handle this thing. As you can see, there are some wrong lines and they need to be changed. I have literally NO idea about this. Just leave it as is. And then you can see the IP Address assigned on your machine. On this example the IP is "192.168.1.19", but you have to use yours, so put it into the willrock.ini and save it. Well, change it. This server name will display when people are searching in the server list into the game. Use appropriate and indicative names such as "John's Deathmatch Mania!" or "Luke's Cooperative server". Use common sense! Just leave these settings as is. This one indicate the maximum allowed players. It can be changed from 2 to 6. Seconds of invulnerability after the respawn, i suggest set it to 3 or 5. (And yes, i also reccomend to remove the space between "Death" and "="). Note: you can see in-game the red circle of the blood/pain if someone else is shooting at you, even with the friendly fire disabled, but you dont get damage, this is probably a HUD bug! Set the unlimited ammo. Not recommended in both game modes, may be ruin the fun of the game. 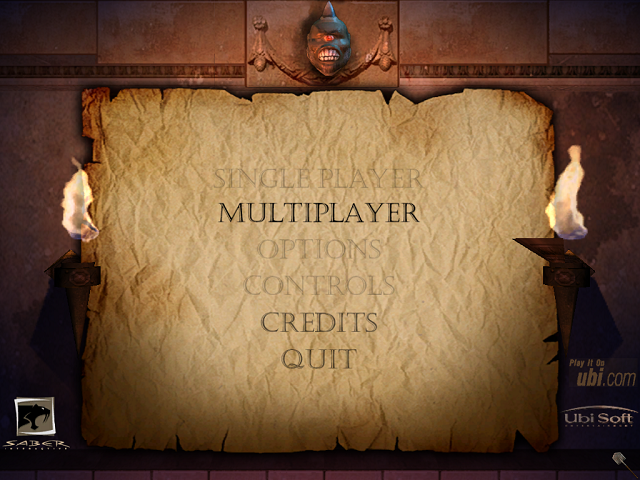 This setting is used if you want to make all the items avaiable and pickable for all players in coop mode (no greedy players). I recommend to leave it as "keep". Do not change this setting, you have to change it in-game, on a second moment. Time limit between map changes. If set 0, there is no time limit. Frag limit. Used in Deathmatch mode, the best settings should be between 20 and 30 frags. Last settings just leave them as is, no changes. After finished changing all your settings, save the willrock.ini file. 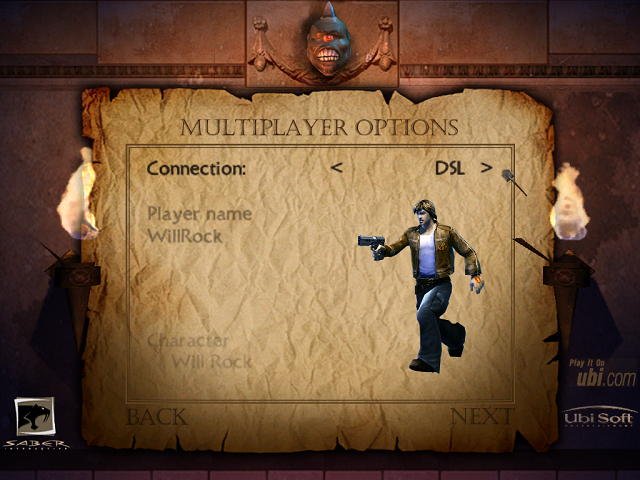 This is the Will Rock dedicated server menu. Its a little different from the standard Will Rock menu, as you can see. Just click on multyplayer. Here you have to Select "Create LAN/I-Net Game", then change other game settings such as map, friendly fire, game mode and so on. 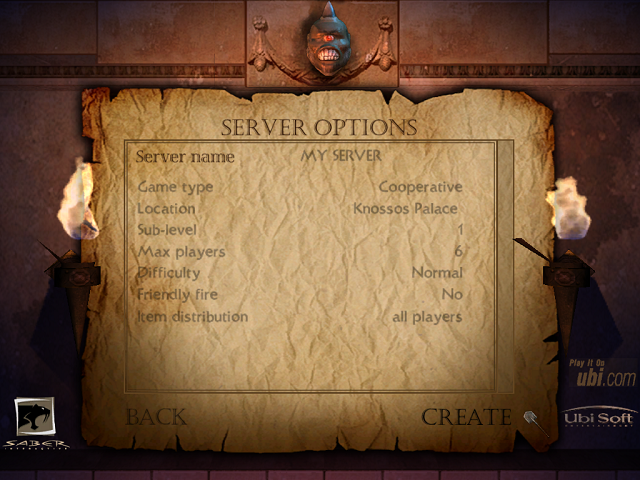 Since this is a dedicated server, players on the server side cannot join, so changing the name and character at this point is useless. Select < DSL > as main connection type. 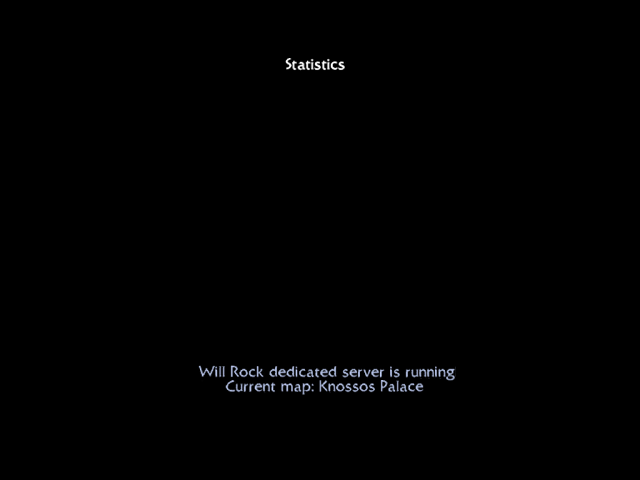 If you have reach this point, and see the black screen with Statistisc (Hold TAB), your dedicated server should be up and running, waiting for other players to join... Congratulations! You have successfully made a Will Rock dedicated server! You can have only one dedicated server at once. That means you can't have more Will Rock servers on the same machine. You cannot play the game if dedicated server is up and running on the same machine. There is no way to host a dedicated server with version v1.0 or v1.1. You need to update the game at v1.2. You can find the latest patch in the downloads section of our forum. You should keep most of internet applications (such as Skype or Steam) closed, for better multyplayer experience. You can keep the willrock server in icon if you want, by pressing ALT+TAB, the server keeps running. If you want to know how many players are actually connected, you can see the players list by holding on the keyboard. There is no console commands about start/stop/restart a server or players managment. If you want to stop and change the map, you have to complete close the game, edit your settings and restart the server. You can't type to other players from the server and you can't see the chat history for reading previous messages. As mentioned in the hardware/software requirements, a dedicated video card is required in order to run a dedicated server. Please refer this article for more info. Test your server before publish it, make sure it is reachable from external hosts, ask your friends to join into your new server to see if it works. Make sure to make a backup copy of your Willrock.exe before replace! That's it. I hope i've helped someone else with this guide, if you need any question, please post a reply, thanks! Last edited by chris on 13 Jan 2015, 12:59, edited 1 time in total.